After I finished the first draft of my first novel (now Book Three in the McCool Saga) I began sending out queries. I had 600 pages, I announced with pride, which I had copied word for word from ten spiral notebooks. Within about two weeks the responses started rolling in. After a half-dozen of these, I began looking up rejection-statistics on published writers to make myself feel better. Then the tide turned. I got four requests for pages. Well, apply I did. Within hours I received a response from Toni Lopopolo, former Editor at St. Martin’s Press turned Literary Agent. She cut to the chase, too. “Take out all the ‘ly’ adverbs and ‘ings’, then send it back.” I thought she was nuts but I did it. An agent was giving me a chance. “You’re going to hate me,” she announced at the first session. Toni promised to ruin our reading pleasure by turning us into Editors, first for one another (and for the published books we were reading) and then for ourselves. She also promised to boot us to the next level in our writing. For those of us who stuck it out, she delivered on both counts. I have always had the impulse to tell a story. When I met Toni, I had a lot of passion and a decent vocabulary but no clue about writing fiction. I had composed a doorstop with no discernible plot. Now, deprived of adverbs, I could no longer let someone in my story declare angrily or smile sweetly. I had to work. Think. Feel. Ugh. The ‘ings’ were next to go. When I removed them, the writing came to life. I didn’t understand why at the time. I do now, but that’s another essay. Suffice it to say that I had a lot to learn. They teach you the basics in High School. Beginning, middle, end. They even give you lists of adverbs. While I didn’t study writing in college, some in this group had, and even they were amazed by what they heard that day. Toni read our pages aloud. Then everyone got to comment. Hearing what you’ve written while others listen can be like getting your skirt caught in your underpants. Every awkward sentence and stupid piece of dialogue sticks out its tongue at you and laughs in your face. You hear the rhythm and flow of your prose. Or the lack of it. But if you don’t die of humiliation, you gain a layer of skin. No one can ever be totally objective about his or her own work, but we can develop skills that give us a leg up. I’m not just talking about finding your own spelling and punctuation errors, but developing the eyes and ears to spot a dead-end paragraph (or scene or chapter). To sense when a character isn’t working. To know where to start a scene and where to end it. To master and utilize Point-of-View. 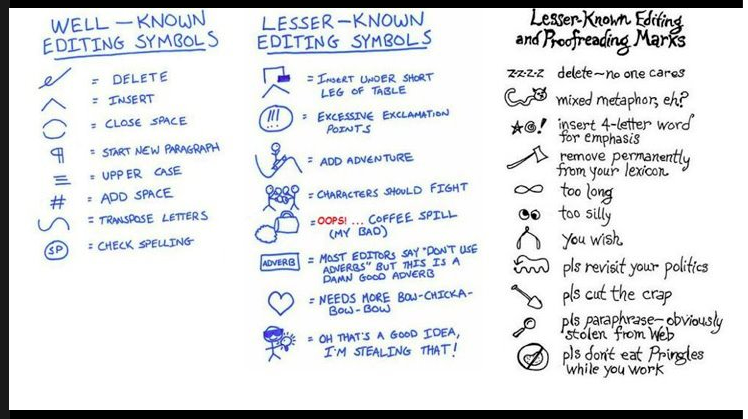 I believe any writer can begin developing these skills by engaging in the editing process. Joining a group can be a way to do this. Or writers can take courses and workshops like the ones Ms. Lopopolo teaches. Another way is to hire an Editor. This is a big step, maybe even a scary one. But it’s vital that we hear what does and does not work in our story. As a writer I know that how we hear this can make all the difference in how we implement suggestion and criticism. We need objective, even cold scrutiny, but we also need heart. An Editor has to be that cold hard eye, the set of sensibilities that can track a story in bloodhound fashion. But she also has to relay information to a writer in a way the writer can metabolize. 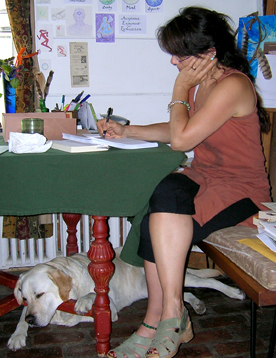 For the past 10 years I’ve worked as Toni’s assistant, responding to queries, reading pages and editing book-length fiction. I feel nothing but gratitude for the agent who took the time to speak to me personally. And to Toni for her patience, mentorship and knowledge of the craft. Because writing is a craft. But it’s also an intuitive process. There are rules. But to truly fly you have to break some of them. This sets writing (and Editing) in the realm of paradox. And if that’s not enough of a mind-twist, consider that no two writers are alike. ‘One man’s meat…” applies here in spades. As an editor, my job is to connect with the writer’s voice, or maybe more specifically, the voice of the novel, and to listen for where it fades. To identify where the story falls away and the author steps in. To stand back and chart the arc of each characters and plot line. Novels are complex. Writing them is an all-consuming and solitary act. Yet we can’t do it alone. We need someone to mirror back to us what we’ve set down and suggest to us how we might do it better. I feel honored by the writers who have trusted me with their work. I am continually amazed by the will and drive these people have, and by the love they possess for their stories. They inspire me in my own work and make me proud to be a part of their club. This entry was posted in Uncategorized and tagged book editing, Susan Setteducato. Bookmark the permalink. Entertaining, well written, and above all, true.